Hey there. Time to go to the vault and pull out another awesome item to review. 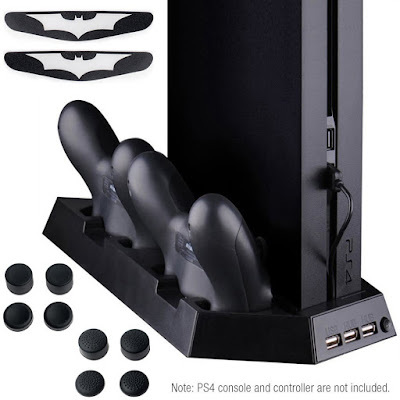 Today's item: the Zacro PS4 Stand with Charging Station! Our good friends at Zacro were awesome enough to send me this great PS4 stand to try out and review! Honestly, if you don't have a stand for your PS4, you should consider getting this one! But before we get into my experience, let's talk specs! The PS4 Stand with Charging Station comes in one pretty informative box. On the front, the box clearly shows the item and affirms that this is an exact fit for the PS4 console and PS4 controllers. On the back, You get a better view of the PS4 stand, a few specs, and a warning label. I thought that the warning label is a bit unnecessary, since it warns against modifying, dismantling, or placing the device in hot water. Kind of, "Duh", warnings... but like I've said before, the warnings are there because someone out there did it. lol Anyways, I figure that a warning label like that is better suited to be in the instruction booklet. Where is the instruction booklet, by the way? I guess one is not needed since using the device is pretty self explanatory, but, in my opinion... if you feel the need to have a warning label on the box, you might as well include an instruction booklet. Once I pulled it out of the box, I noticed that the ports, the charging station, and the dual fans are efficiently placed. There is a single button near the USB ports, which I am going to assume is the On button. The only part of this PS4 stand that seemed a bit weird to me was the built in USB cable that is the power source. The PS4 stand has a spot to store the cable, but it doesn't seem to fit right. It's a little awkward. I guess it's not a big deal, since the USB cable should be plugged into the PS4 the whole time, but it was just a little something that I wanted to bring to your attention. rubber strips to assure that the stand will not move around. I absolutely love how the controllers fit perfectly into the charging ports. I'm a huge fan of the controller handles sticking out. It makes it easier to just grab and play. The charging times were kind of difficult to determine. I would forget to leave my PS4 in standby mode and would end up not charging from time to time. 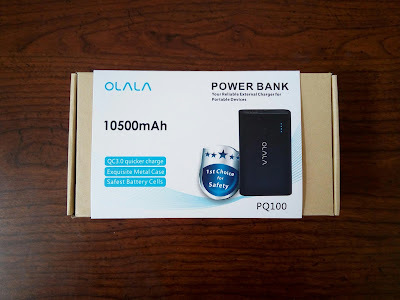 BUT, as long as you have power running through the stand, the charges were just as good as plugging them in to any other charging station. Now... I also have a PS3 so I went ahead and tested out the USB ports as an additional charger by plugging in my PS3 controller to charge via the USB cable. I went ahead and tested them on all the ports and it worked great in all of them. It made me wonder if the HUB and USB labels are meaningless. As long as the ports work, it shouldn't matter what they're labeled, right? There really isn't much more to say about the Zacro PS4 Stand with Charging Station. I can't say whether or not it will prolong the life of your PS4 BUT... if you can reduce the chances of it heating it up, there's a good chance that you can. The fans are super quiet and the charging ports are awesomely placed and making data transfers through the USB ports makes it super easy. When I got my PS4 stand, I got it BEFORE it was being offered with the thumb grip cap covers or the light bar decals so I can't speak in regards to that but... that's a freakin' awesome upgrade! Especially the thumb grip caps! I got through those bad boys quickly so it's nice to be able to have a few spare laying around when needed! If you have a PS4, you need a PS4 Stand. 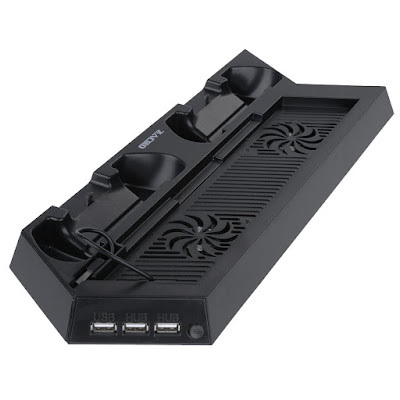 Especially one that will not only cool down your PS4 but also provide you with a charging station. This PS4 stand and charging station is available at Amazon for under $17! $17 is nothing if it's going to help prolong the life of your PS4! So what do you guys think? Do you already have a PS4 stand? Does it cool down your PS4? does it have a charging station? How do you like it? Let's hear it in the comments, friends! Later!